The community of international researchers in Loughborough’s Discourse and Rhetoric Group occasionally put on an informal themed day of presentations and data sessions. In September this year the theme was “Resistance”, meant to encompass all kinds of practices. Doctoral student Jack Joyce takes up the story. 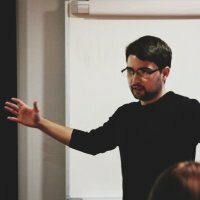 On 13 September 2017, the first ‘Resistance in Talk-in-Interaction’ seminar day was hosted at Loughborough University as a joint-DARG event, funded by the Loughborough Doctoral College. The one-day seminar, organised by Bogdana Huma, Claire Feeney and I came about after we noticed that we were all looking at a similar theme in our data; resistance. The day was originally planned as an internal ‘get-together’ to talk about resistance in DARG, but we attracted interest from farther afield so we decided to arrange something a little more formal but with an informal ethos. The aim of the seminar; come up with some kind of definition for ‘resistance’. The day featured a number of data sessions which demonstrated the breadth and depth of work being done on Resistance-in-interaction, delegates had the opportunity to receive, and provide their own analytic contributions towards data across a range of institutional contexts. 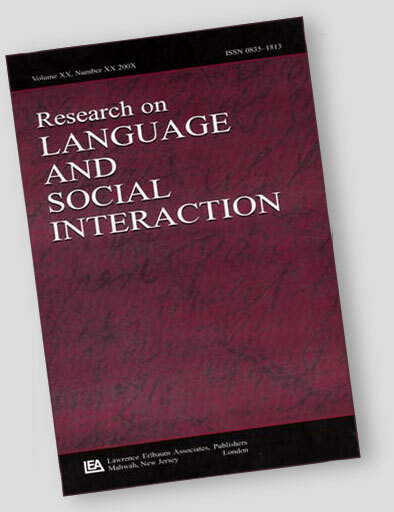 These contexts were often challenging to hear/see such as, people resisting help in suicide crisis negotiations (Rein Ove Sikveland), or the strategies people with profound intellectual disabilities are able to employ to resist being cajoled (Charles Antaki). Each session poising the question: in this interactional context, what does resistance look like? The seminar was well-rounded with invited speaker Sue Widdicombe from the University of Edinburgh giving an insightful talk on how categories are ascribed in conditions of multiple identities. We were all excited to be shown some seemingly ‘lost’ data from her ground-breaking studies on subcultures (see: Widdicombe, 1995). In her talk, Sue shared her analysis of question-answer sequences in interviews about nationality and religion with men and women in Lebanon and Syria. Using various Conversation Analytic approaches, she identified four patterns of modifying or resisting categories: (1) accounting for the upcoming talk, (2) invoking a contrasting category to modify a membership claim, (3) through nominating an alternate, often more general, category, (4) denial of a previously relevant category. 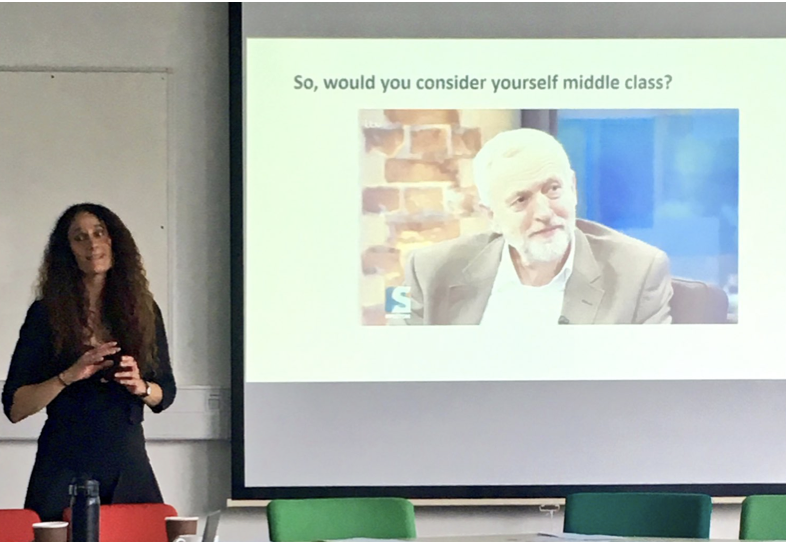 After her talk, we jumped straight into a data session to see these patterns in action through analysing Jeremy Corbyn doing resisting being described as ‘middle class’. The day also featured work from other researchers; Bogdana Huma on the ways call-takers resist prospecting ‘cold’ callers, Marion West presented data on how, in supervisions, undergraduates may resist advice, Emily Hofstetter (and Liz Stokoe) showed us an example of office health and safety inspections can be a site for subtle resistance, and how of institutional failure can be invoked to resist an institutionally-mandated change; and Jack Joyce concluded the day with some data of an extreme case of resistance, showing one way medical patients can resist treatment recommendations (by simply getting up and walking out). In planning Resistance Day we purposefully avoided widely advertising the event, treating the day as a test event to talk about our interests, and more generally, to see if other people were interested in resistance. The answer was a resounding yes, the day was fully booked and a few people missed out on places. So, we are in the process of planning a second, larger event some time in 2018 so if you’d like to be informed of any announcements keep an eye on EMCA Wiki, or contact Jack (j.joyce@lboro.ac.uk) to be added to the mailing list. If you want to learn more about the conference, you can search #DARGresistance on Twitter or find the Twitter moment here.